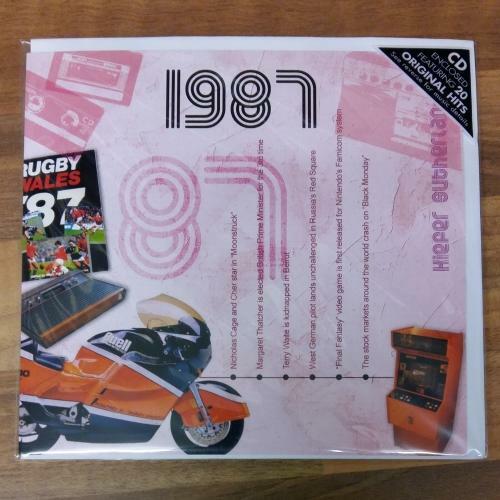 If you're struggling to find the perfect gift for a friend or family member why not purchase one of these great CD cards. 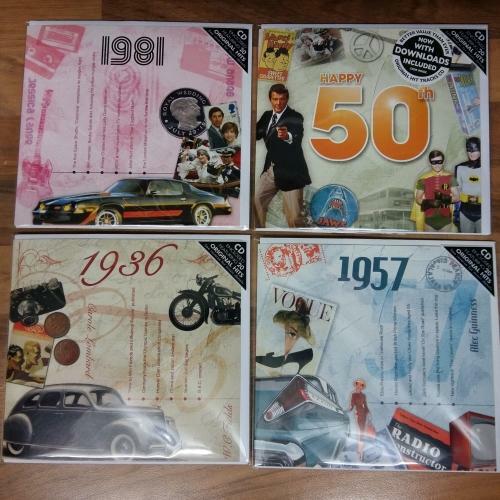 We have two styles available; the year card or 'the music of your life' card. Year Card - this is not only perfect for birthdays but can also be used as a great anniversary present! 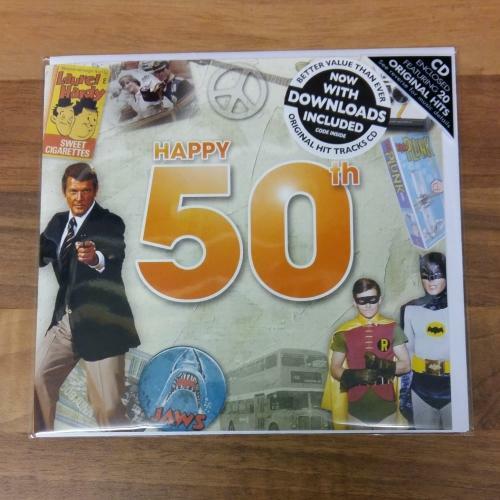 Featuring 20 original hit songs from the year you choose as well as a greetings card with facts from that year. 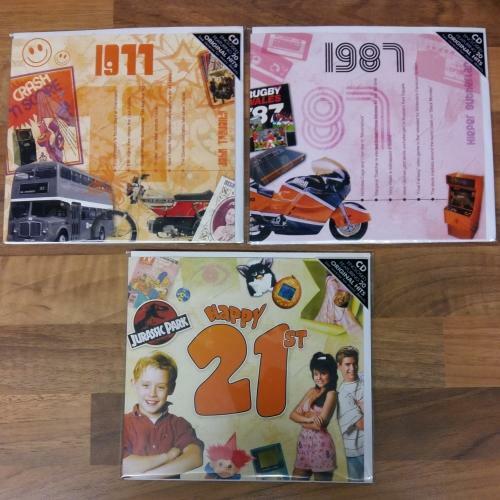 The Music of Your Life - again with 20 original tracks by the original artists, this range features songs from your generation to really help you reminisce; for example the 'Happy 21st' CD covers 1995-2008. Both types are £6.50 plus postage and ready to post out today. We stock most years and ages ranging from 1929 up to 1995. If you would like more information, or to order, just give us a ring on 01629 814811.